Few names - and engines - in the motoring world get the pulse racing quite like a Maserati. 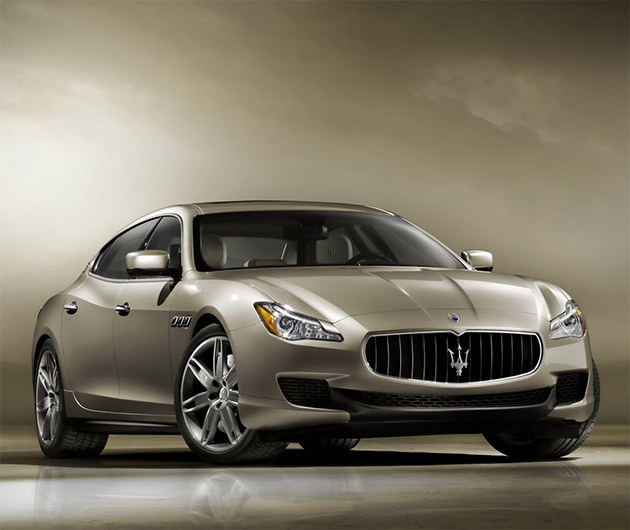 Much is shrouded in secrecy at present, but what we can tell you is that the 2014 Maserati Quattroporte promises to be faster, bigger badder and lighter than its predecessor. Its host to a Ferrari turbo charged engine and the interior's design is elegantly minimalistic, crafted from the finest woods and leathers.